Rajinikanth was given the award for Entertainer of the Year from Prime Minister Manmohan Singh in the NDTV Indian of the Year Awards in New Delhi on January 17. Rajinikanth while talking on the occasion said that he is honoured with the award and is happy to receive the award from the hands of our Prime Minister. Rajnikanth was responding to questions at the NDTV Indian of the Year Awards in New Delhi on January 17, where he accepted the award for Entertainer of the Year from Prime Minister Manmohan Singh. NDTV: Many congratulations. It's fantastic to have you here in our midst. It is so difficult to make you leave Chennai and Tamil Nadu. 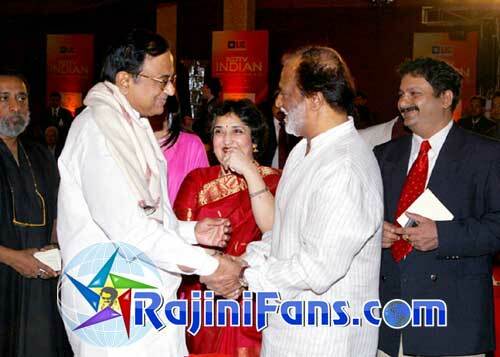 Rajni: Indeed, it is a very different occasion for me. I am honoured to receive the award from the golden hands of our Prime Minister and political saint Manmohan Singhji. I am thankful to NDTV and all the people who voted for me and the people who loved me. NDTV: One of the reasons why it is difficult for you to leave Chennai is because you bring the whole city to a standstill. Is that true that once you had to go to the airport and when you got out of the car, the whole city came to a halt? 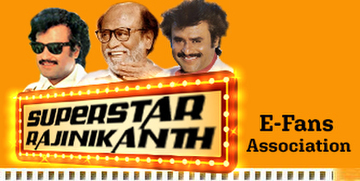 Rajni: It is just a rumour. NDTV: Or only half a city? Rajni: No, it is the whole media thing. It is not a fact. NDTV: Let me ask you that when it comes to recognising Indian cinema, it becomes very Bollywood centric. Not many people outside of South India know that you are one of the highest paid actors in India. Rajni: Who said I am the highest paid actor? NDTV: You are saying that because the finance minister is here. But we know that you are a superstar not only in South India but all over the world. You have a following as far as Japan. Do you feel that the South does not get enough of recognition when it comes to recognising Indian cinema? Rajni: No, it's distorted actually. People have started recognising South Indian films and South Indian technicians and artists, thanks to the media. NDTV: Now the question that many journalists have been trying to ask is: when are you formally going to take the plunge into politics? I know you have made many endorsements in the past to different parties, so just when are you going to dive in? Rajni: I believe in destiny. Day before yesterday, I did not know that I will be here. I don't know what will happen tomorrow. But I believe in God and whatever God orders me to do, I will do. NDTV: That's a very politically correct answer. But what does it actually mean? Does it mean DMK, AIADMK, or the Congress? Rajni: Actually, God has given me a role to play, an actor's role. If he gives me a politician's role, definitely I will do it. NDTV: Okay, so you are not ruling that out? Rajni: I told you: destiny. NDTV: Someone from the Hindi film fraternity will ask questions: Karan Johar? Karan Johar: Who do you regard as actor par excellence in the Bombay film fraternity? NDTV: You have said earlier that you are the Badshah but he is the Shahenshah. There is another Badshah in the audience. Shah Rukh wants to ask Rajni a question. Shah Rukh: Thank you sir. But I notice that you are just talking about my sports and not my acting. Anyway, God bless you and it is an honour and a wonderful thing to have you here in our midst.